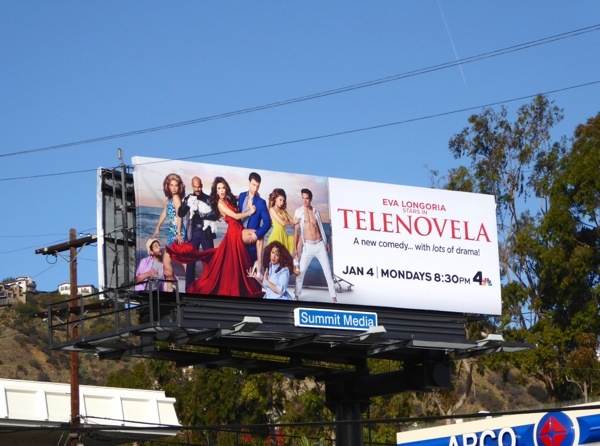 If you're a fan of soapy dramas and sitcoms, then you're in for a treat this New Year as NBC has mashed up the two genres in its new comedy, Telenovela. 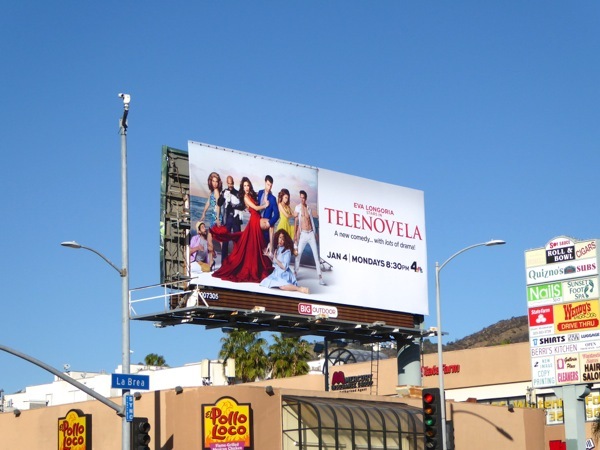 In the new show, Desperate Housewives Eva Longoria headlines as the popular diva 'Ana Sofia Calderon', star of Latin America's most beloved telenovela, navigating the drama both in front of the camera and behind-the-scenes with her high-maintenance and jealous cast and crew. 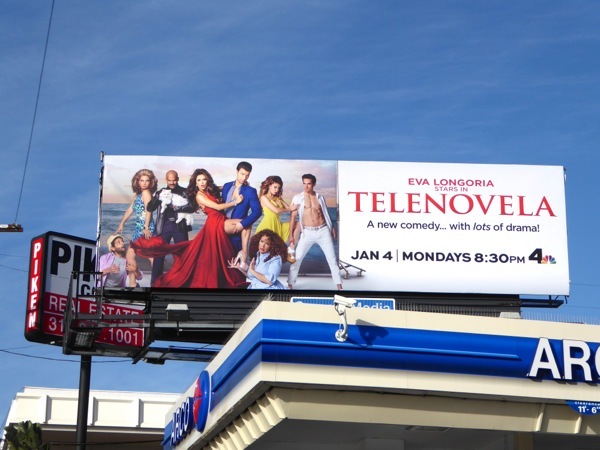 These fun Telenovela series launch billboards were first spied along La Brea Avenue at Sunset Boulevard on December 16, whilst another example was snapped further west along Sunset Boulevard at Fairfax Avenue on December 24, 2015. 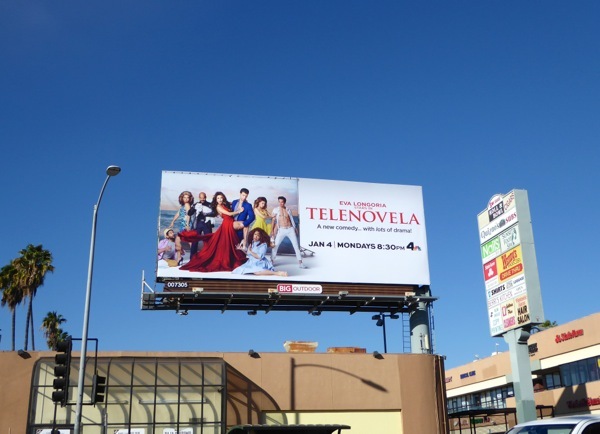 If you're a fan of soap operas, be sure to also check out these teaser billboards for All My Children and One Life To Live from 2013. 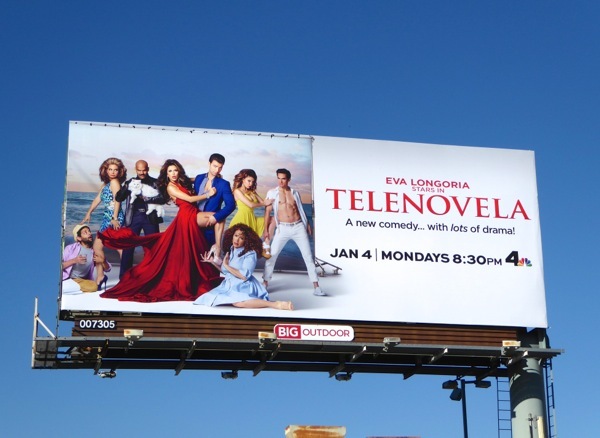 Tune in if you dare for lust, love, life, death, schemes, dreams, plus more than a few evil twins, and hopefully some laughs too.